Also, I will be giving away my own blog candy too! All, I ask is that you follow my facebook page, link on the right as well and my blog too! I just love this frosty little snowman and all the sparkle! Adorable card, the snowman is so cute. Thanks so much for sharing. This is so sweet love the little snowman and the soft colors. very cute! I love the non traditional colors!! I just love your snowman!! Darling card!!! 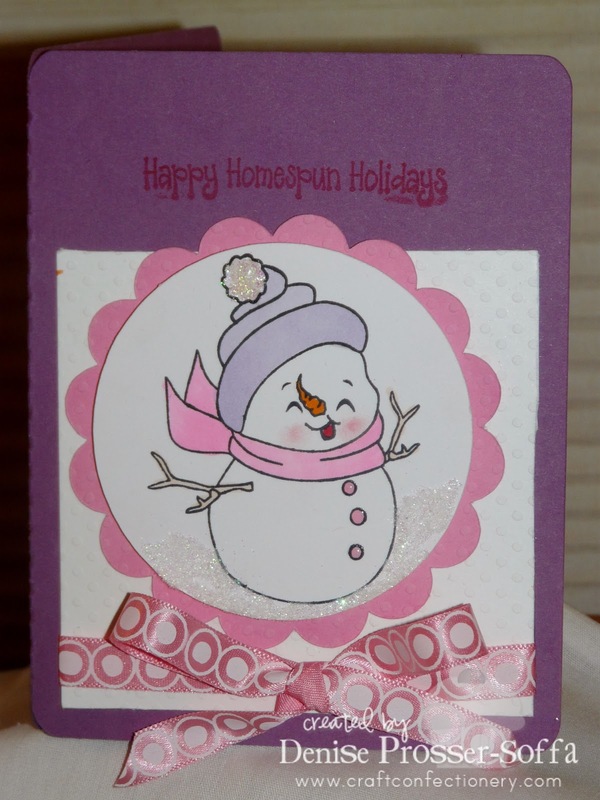 Adorable little snowman card! Just so fun and love the chunky glitter for snow too! So loving this image and sparkling snow. Super cute! He looks like he is having so much fun!